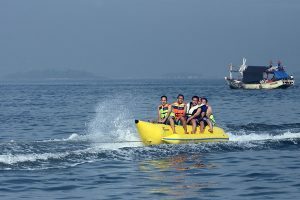 Your Bali Holidays will not complete without trying Bali Water sports activities.Bali own the beautiful place with the long white sandy beach located in Tanjung Benoa as water sport center.It is located right in the Bali’s Peninsula,south part of Bali,it is just a step from Nusa Dua,the elite resort area in Bali. 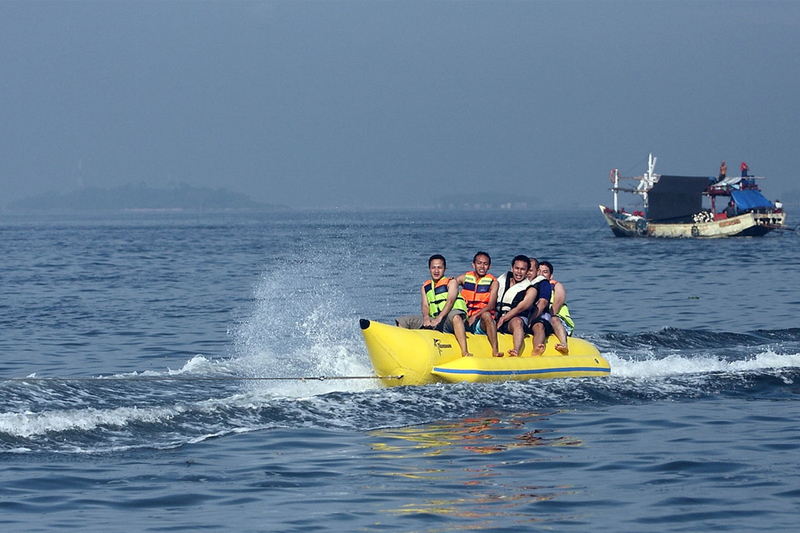 Tanjung benoa beach is blue sea water without wave which known for the best aquatic adventure venue in Bali, try : Parasailing, Jet Ski, Banana Boat, Water Skiing, Snorkeling, Diving, Wake Board, Turtle Island, Fly Fish, Glass Bottom Boat and Fishing Tour. 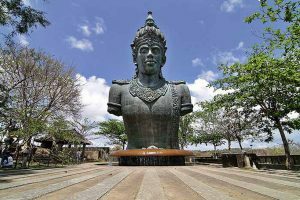 Garuda Wisnu Kencana Statue is huge statue with 150 meters tall picturing the Vishnu Lord as a source of wisdom, riding on back of mystical bird of Garuda inspirited from the Hinduism that is manifestation toward Amerta, eternal goodness. 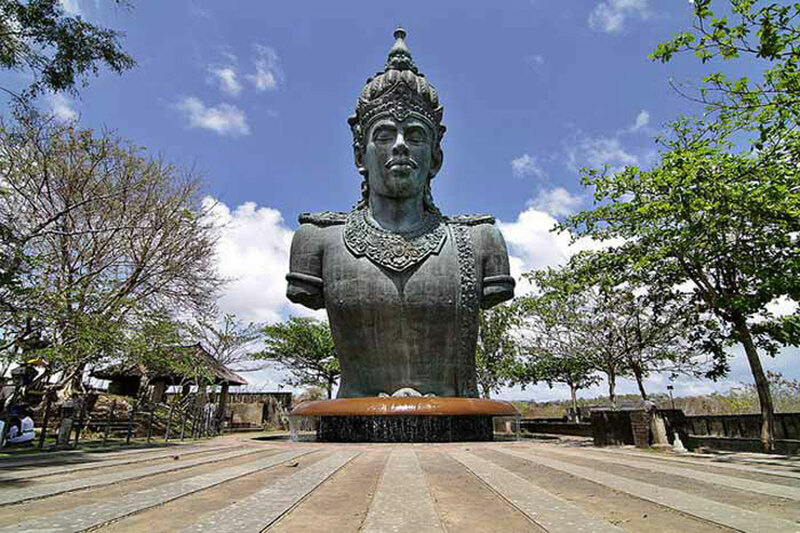 This statue is made by the famous modern Indonesia’s sculptor, Mr. Made Nuarta. 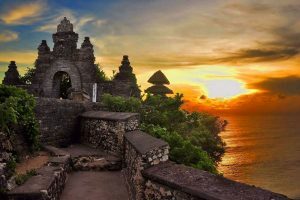 It was made more than 4000 tons of copper and brass which is surrounded by 240 hectares of park culture and become one of the Bali’s icons in future. The shape of this statue was not complete yet where the head of Lord Vishnu statue and Head of Garuda Bird statue are set in separate place. Entrance ticket is IDR 60,000/person. Padang-padang beach is located in Unggasan Village, South Kuta District, Badung Regency .This beach is situated in the white stone hill that blessed by the breathtaking view to the Indian Ocean and spectacular sunset in late afternoon. Padang – Padang Beach is one of the famous surf points in the island of god and become a favorite surf spot for surfers to explore the great and challenging waves. This beach has a unique position, the visitors must climb down and cut trough the barrier reef on the beach gate. The visitors will find a different atmosphere than Kuta and Sanur beach.They will find a beach with beautiful scenery, calm, and comfortable atmosphere in this padang-padang beach. 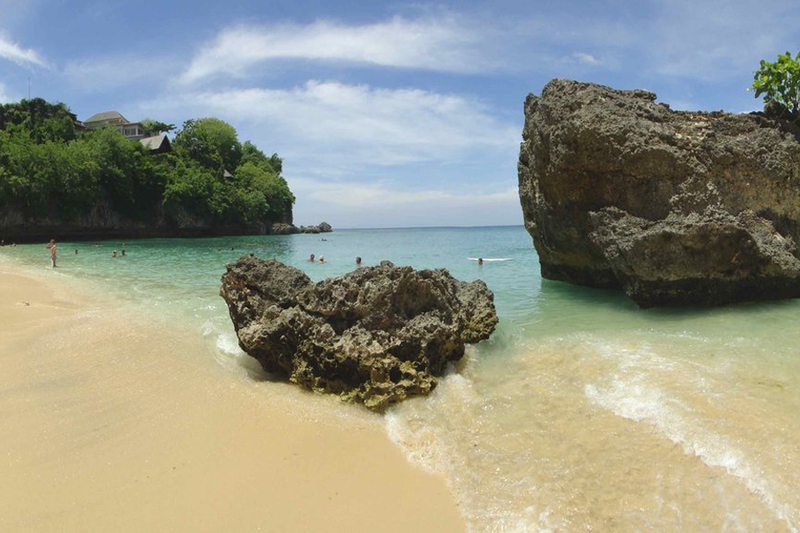 In addition, the corals reefs which extend freely and a big wave are the other fascination of this beach. 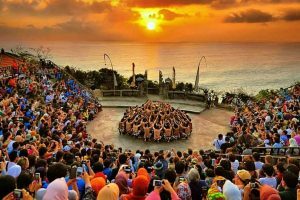 Kecak Dance performed on the eastern side of Uluwatu Temple., The Kecak dance performance is very simple. The men’s chorus chants the words Cak ke-cak ke-cak ke-cak ke-cak ke-cak, in rhythm, over and over again, For this reason they are called the Kecak or Cak dance. 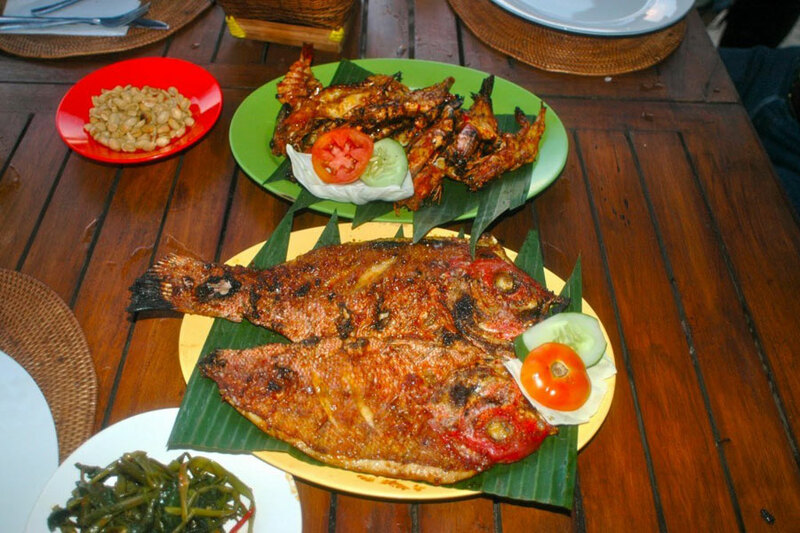 The Kecak dances consist of about fifty men wearing only a loin-cloth, the upper part of their bodies left bare. They form rows of circles, in teh middle of which is a coconut oil lamp. The Kecak dance is performed for dance-dramas and the story presented is take from the Ramayana epic.